Living in central Ontario, I admit, I might relish hibernation a little too much. My default winter habits do not prepare my body well for the springtime season of lighter movement. Imagine regularly trudging your way through a lot of snow and walking on icy everything. Think of driving a lot more than usual and hunkering down, not even leaving the house on the coldest days. You get the picture. However, as soon as spring has sprung I want to be in my kayak. As nature moves out of the cold, dark winter toward spring, the river roars, seedlings break through recently frozen earth, birds nest. Nature makes it look stress-free, but for many of us, it’s not as easy to transition gracefully from winter to spring. We may find ourselves feeling stiff and sluggish, and need a little push to get moving. Envisioning what I want my first kayak adventure to feel like is a great start. My imagination helps direct me to the exercises I need to get my body ready. 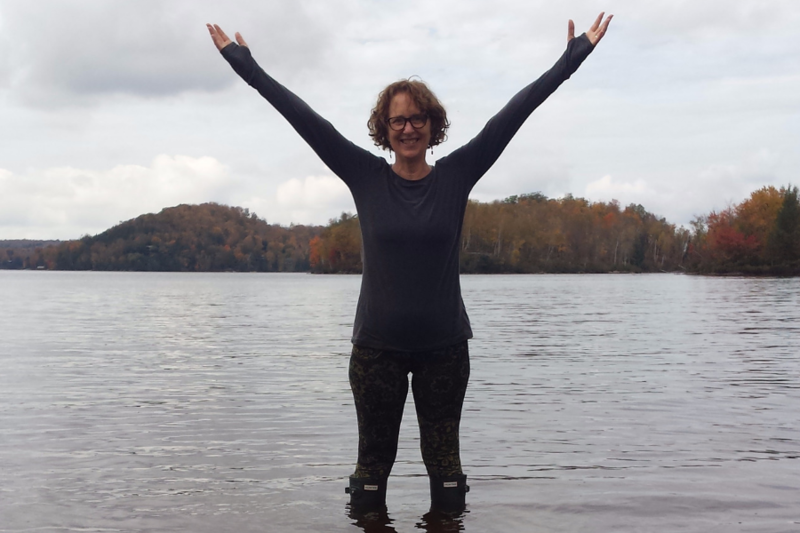 I picture myself fluidly, gracefully, strongly gliding in and out of my kayak in all kinds of situations (a slippery riverbank, a rocky shoreline, a beaver dam). I see myself rolling my kayak with confidence. The practical side of me adds the picture of me hoisting my dripping kayak onto my car after being out on the water. Then here at home, while playing around on my yoga mat, I explore similar movements to get an honest assessment of where I am starting from. This helps me shape my practice to prepare for that first day out on the water. To begin, I give my psoas some much needed TLC, adding the daily practice of rolling on a Roll Model® Coregeous® ball – to help relax and realign my tight psoas. 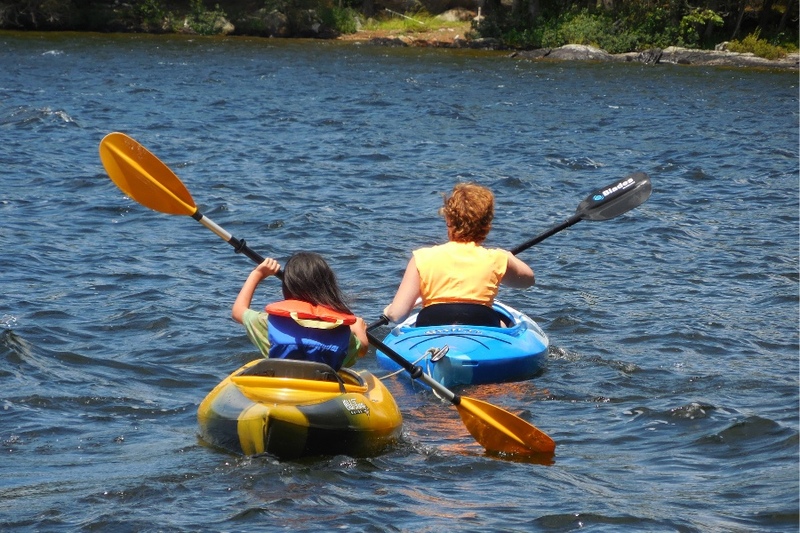 It takes agile hips, balance and a strong core to get in and out of a kayak in whatever situation presents itself and to roll a kayak with confidence. A tight, shortened psoas can get in the way of the smooth swivel. 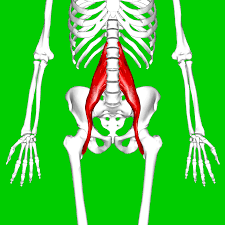 The psoas is the deepest of our core muscles, and is often considered our most important postural and structural muscle. Its related functions include posture, movement, balance, breath and energy. If tight, the psoas will definitely inhibit range of motion in one or both hips, put strain on the lumbar spine and the knees. As we spend a lot of time sitting (even in the kayak) this muscle can almost always use more attention! I began rolling out the psoas before kayak season and will continue during the kayaking season using a Coregeous® ball. Start by lying face down, and place the Coregeous® ball at the center of your pelvis. Begin slow, full abdominal breathing, extending the exhale. Take some time here. Moving to your forearms, add some gentle movement side to side & up and down with our body. Slide the Coregeous® ball to the inside of the left front hip bone, left leg remains extended. Flexing your right knee, move it up beside your right hip in a “1/2 frog” position. Slide your hands back, lifting your chest away from the floor into a backbend, deepening the facial release along the whole front left side of the body. To finish it off, turn your face to the right and flex your left knee–creating more length in your left psoas. Another practice to get ready for the water is Gate pose. Gate is a low impact pose introducing some novel movement for the spine and hips. Playing with balance and strength by moving in and out of the pose, rotating side-to-side and adding a twist, all while maintaining a strong core (or “coreso” as we sometimes call it in Tune Up Fitness®), is a great way to mimic getting in and out of a kayak in any circumstance. Jill Miller performing Gate pose with a twist! Sail your right arm up overhead, taking a moment here to activate your abdominal muscles, your gluts, and enhance the core engagement. While keeping the core fully engaged, slide your left hand down your left thigh, reach the right arm up and then over toward the left leg. Now improvise simple flowing movements with the upper arm and spine, finding your edges of stretch, strength and grace. Finish by scooping up your head with your top and and rotating your face toward the sky. Bonus: Add in blocks placed in different places on the mat mimicking different terrain. Rest back in a child’s pose, and then return to Sitting Seza and repeat on the other side. Lizard pose stretches the psoas, releases tight hamstrings, hip flexors, quadriceps and adductors. Plus it awakens the connection between the back core and the hips. The serratus anterior connects to the upper ribs, and runs to the medial side of the scapula. It plays an important role in protracting the scapulae and is responsible for stabilizing the shoulder blades against the rib cage. 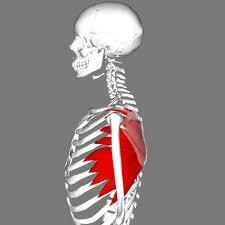 The serratus anterior, working in union with the trapezius, creates both force and stability in upward rotation of the shoulders. By activating to the serratus anterior, Lizard becomes a fun way to improve the stability in your shoulders and give you access to extra strength needed at the end of the day to hoist a kayak overhead. Starting in table pose, step the right foot forward to the outside or your right hand and walk that foot to the outside edge of the mat, ankle and knee joints stacked, toes pointing forward. For a deeper stretch, lift the back knee off of the mat, pressing through your back heel, lengthening the entire back leg. Return to Table pose, bring the right foot forward and repeat on the other side. Thanks so much for joining me for this paddle-prep practice. Every season brings new textures, colors, smells. I want to be outside playing in the woods or on the water in every season. Today I’m giving my body the fitness nourishment it needs now to fully enjoy and embrace the joys of springtime. Really thorough and beautifully articulated piece. Great movement practices and nice simple details. Can’t wait to get onto the water! Great information Pam. Thank you for letting me know how to get into shape after these long winter months and back into my kayak. Going to have to get out the ball and try that Psoas Releasing Technique. My psoas got excited just watching it!